Sigma Pi is proud to call the Mitchell House in Lebanon, Tennessee home. The building has a spectacular history, and Sigma Pi looks to build upon and add to the further evolution of the Mitchell House’s story. Built in 1910 as the home of Dr. David Mitchell and his family, the Mitchell House has also served as a school and office building. Once the Mitchell family left the home, it sat dormant for several years before being purchased by Castle Heights Military Academy and used as the junior school from 1936 to 1986. In 1998, Cracker Barrel Old Country Store, Inc. purchased the Mitchell Home and began restoration. Cracker Barrel founder Danny Evins was a graduate of Castle Heights Military Academy and later served as chairman of its board of directors while his son attended the school. Evins and others wanted to return the establishment to its grandeur of the early 1900s. Through the restoration efforts of Cracker Barrel Old Country Store, Inc., the Mitchell House is listed as a historic landmark on both the State of Tennessee registry and the National Register of Historic Places. 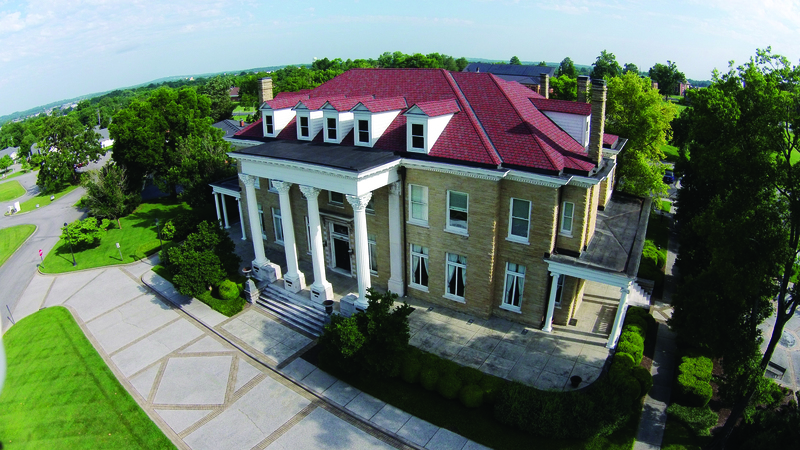 The floor plan of the home allows for the first floor to function as the museum of Sigma Pi and provides meeting space through two boardrooms. This area also will serve as a place for brotherhood initiations to take place. All business offices are located on the second floor. In the past, the Mitchell House also served as a beautiful location for weddings, photography sessions, and events. The building will now be reopened for such events effective immediately. Interested parties can visit http://www.mitchellhouse.org for more information.